Hydrogen furnace a kind of heating equipment, also known as hydrogen furnace.which charge into hydrogen or hydrogen, nitrogen mixture gas (hydrogen content >5%) as a protective atmosphere. With 2 types instructure:Vertical and Horizontal type. Heating element usually adopt molybdenum wire (mo melting point is 2630 ℃), shell for metal, maintain good air tightness. Kiln furniture commonly used molybdenum boat, can be continuous production, high efficiency.The vertical hydrogen furnace is similar to the horizontal type and occupies a small area, which is suitable for small batch production. Hydrogen furnace can be used for ceramic sintering or metallization, brazing, glass parts for sealing metal parts annealing and purification. It can also be used for sintering powder metallurgy and semiconductor alloy. In operation, pay attention to safety of air circuit, circuit and water system, especially to prevent leakage into the air, so as to avoid high temperature hydrogen spontaneous combustion explosion accident. 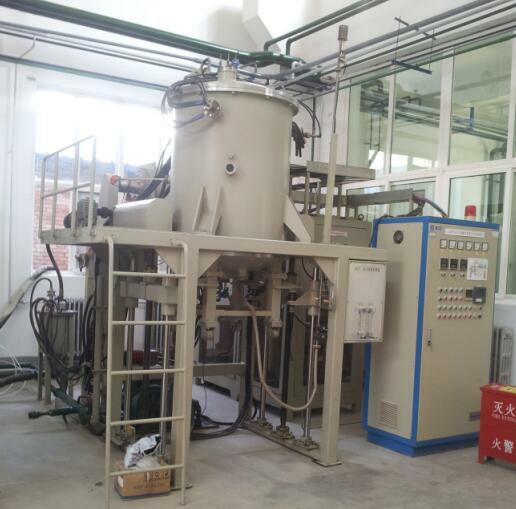 The equipment can be used for reducing, sintering, annealing and surface treatment of hard alloy, ceramic material, magnetic material and rare refractory metal in the atmosphere of hydrogen or forming gas.